Keep Cozmo and all of his accessories safe on your next adventure in this durable Cozmo Accessory Carry Case. 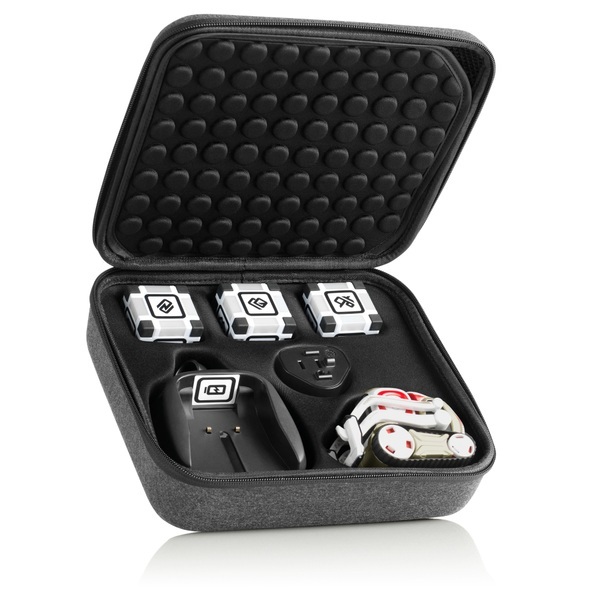 Custom-moulded compartments hold 1 Cozmo, 3 Power Cubes and 1 Charger. (Each sold separately) A zip-sealed pocket stores other items you might need while on the go.